Ripe has been associated with Bradley and assisting with all his printed promotional items since 2006. From the original connection, made by our own George Penny in Brad's amateur days, to this, his fifth season in MotoGP. We've always worked closely with Britain's most exciting road racer and we're delighted to be playing our part in his continuing success. 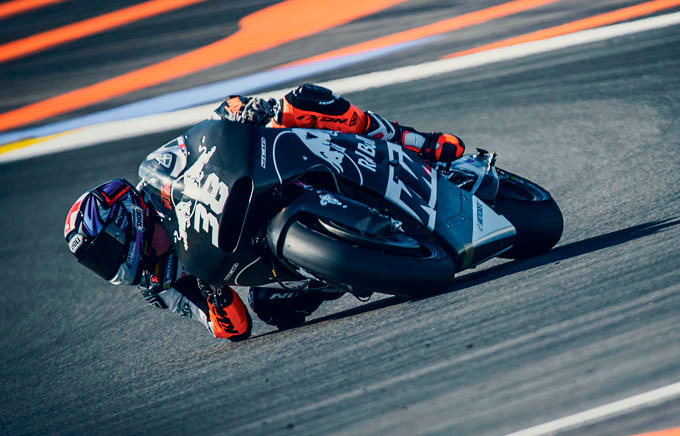 2017 promises to be the most momentous year yet in his career, riding for the new KTM Factory Racing Team racing against the likes of Marc Marquez, Valentino Rossi and Jorge Lorenzo. I’ve really enjoyed working with George and the team at Ripe and I’m very pleased that we will be able to continue to develop our relationship. I take my role with them very seriously. They are all fans of MotoGP and follow my progress very closely and I aim to thank them for their loyalty and support throughout my career with some good results in my second year riding in the MotoGP class. We are delighted to be working with Bradley again this year. Ripe have to be one of Bradley’s longest running personal sponsors and we can’t see why our assistance can’t continue for years to come. Bradley is a very popular figure amongst the Ripe crew and all of us wish him every success for 2015 – Go Brad!!! After working his way to the top of the youth motocross championships, Bradley was put out of action for the remainder of the 2004 season. Determined to keep riding, he switched to road bikes and came fourth in the UK-based MRO Aprilia Superteen Championship. Attracting a huge amount of media attention at the age of just fourteen as the ‘motocrosser turned road racer’, he proved his potential by earning a position in the prestigious MotoGP Academy for the 2005 season. The scheme was set up by the MotoGP govening body (Dorna) and run by Alberto Puig in Spain. The academy was devised to nurture up-and-coming youth talent, assisting riders to make the move into the MotoGP 125cc class. Bradley contested the CEV Spanish 125cc Championship, winning the last three races and finishing second overall. He also won a round of the British 125cc Championship and finished in the top ten overall, despite missing many rounds due to his MotoGP Academy commitments. In 2006 Bradley was signed up by Puig for the prestigious Repsol Honda Team to compete in the 125cc Class of the MotoGP World Championship. He did well, scoring a top ten finish in his first year. Repsol Honda extended his contract for 2007, and Bradley rewarded them with a record-breaking year. He became the youngest-ever British rider to finish on the podium (French GP, Le Mans) and the first British rider since Clive Horton in 1978 to finish in the top ten in the 125cc World Championship Class, accumulating 101 points. For 2008 Bradley negotiated a ride with PolarisWorld Aprilia. This brought him four podium finishes, sixth place overall and the first pole position in the 125cc class for a British rider since Chas Mortimer at the Belgium Grand Prix at Spa-Francorchamps in 1972. Bradley was approached by Jorge Martinez to ride in his Bancaja Aspar Team for 2009-10, alongside Julian Simon. Bradley won his first ever Grand Prix with a dominant performance at Jerez in May 2009. He won again at Mugello after his first pole of the season. Bradley finished second to his team-mate in the last three races of the season to end the series runner-up. His performance in the 2009 championship is the best by a British rider in the 125cc class since Chas Mortimer was second to Kent Andersson in 1973. Bradley finished on the podium nine times, the highest number of podiums by a British rider across all solo classes since Phil Read had eight podium finishes in the 500cc class in 1975. He also scored the highest number of Grand Prix points ever achieved by a British rider in a single season! The France-based Tech3 team gave Bradley the opportunity he sought and move to the Moto2 class for the 2011 season. After a superb first season, achieving three podiums and ten top ten finishes, Smith was rewarded with a three year contract. He would continue to compete in Moto2 for 2012 (a tough year with a less competitive bike, but still achieving a top-ten finish in the overall standings), before realising his dream of MotoGP racing as part of the 2013/4 Monster Yamaha Tech 3 team, partnering fellow-Brit Cal Crutchlow. Smith’s ‘Rookie’ year in MotoGP was a steep learning curve, but the young brit concluded the season in 10th place with 116 points, running consistently within the top ten riders in most races. His best results were a trio of sixth places obtained in the Catalan, German and Australian Grands Prix. Bradley continued his second season in MotoGP with a new teammate (Pol Espargaró) joining the Monster Energy Tech3 team. Bradley finished fifth in the second round of the championship, the Grand Prix of the Americas in Texas, achieving his best result at that time. The pressure of his two year deal coming to an end showed after a series of big crashes and DNF's midway through the calendar, but the stress was lifted after Tech3 extended his contract for an additional year. Smith then went on to achieve his first podium in MotoGP at Phillip Island, finishing in third place. 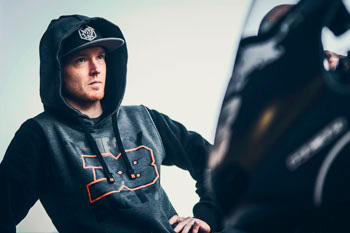 The 2015 season saw Bradley mature and learn how to get the very best from the team around him, which resulted in his most successful year in MotoGP to date. Bradley was the top British and non-factory rider in the Championship and scored a top ten finish in every single race and beat a factory Ducati to finish sixth in the Championship. The highlight had to be the second place finish in San Marino after a huge gamble in tyre strategies. Sadly 2016 did not go exactly to plan as Bradley and the Tech3 team struggled with the change in tyre suppliers (Michelin) and regulations regarding the use of supplied ECU’s (engine management). Bradley also missed three rounds, after sustaining knee ligament damage in a crash during practice for the Oschersleben 8 Hours Endurance Race as a wildcard rider for the YART team. At the end of 2016 after 6 years, Bradley left the Monster Yamaha Tech3 Team after signing a new contract for two years to ride with Red Bull Factory KTM.